Believing in what you sell is one of the most critical aspect in retail. Decades later this maxim holds true for not only advertising but actually about almost everything we do in life. If we truly believe in something, we give it our best and the outcome is invariably a positive one. This reality becomes critical in retail as the shopper is driven and motivated by the trust he or she reposes in the store. In reality, it is not even in the store but in the staff and their service. It is no wonder that the staff are referred to as the “Face of the Retailer”. In spite of this, the majority of training initiatives are focused on customer service, smiling and wishing the customer, etc. Very rarely have I come across a retailer who takes the trouble to sell their merchandise to their own staff and make them to truly believe in what they are being asked o sell. That was the crux of the issue that was mentioned to me by a young retail manager and which led to this “Business Line” article; Do you believe in what you sell? Apart from the interesting anecdote about my interaction with this your retail professional, the article also captures an essential milestone in the journey of modern trade in India, especially that of food/ supermarket formats. The Kabali fever is on and I succumbed to it! After watching the movie some interesting perspectives with regard to retail cropped up in my mind. Obviously the power of branding and the ability to drive massive, unheard-of footfalls into theatres is one of the predominant thoughts. The related thought is with regard to converting these walk-ins into repeat customers and loyal shoppers. That the movie Kabali has had an unprecedented amount of build up and hysteria is an understatement. It was released on 22nd July 2016 across the world in thousands of screens. I don’t think that any other movie has been screened in Chennai city today. All screens are showing Kabali from as early as 4.00 am onwards. 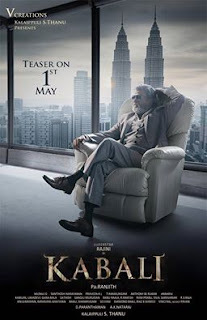 Aircrafts were painted with the Kabali picture, hotels had Kabali menu and even some organizations declared a holiday as the majority of the employees were anyways expected to be absent from work. In sum, this extended weekend can safely be called as the Kabali weekend! Needless to say this hype along with a near total secret shroud around the storyline and other details about the movie helped create an anticipation and expectation which was far more than even sky high. In Rajini terms, it was galaxy high! I was reminded of several of the store launches we had choreographed where similar hype would be created albeit at a much smaller and localized level. Now I come to the moment of truth; the movie experience. I am not going to share any spoilers or story details. Let the Kabali weekend play out and maybe I will add on some views regarding this later on. As of now, all ye fans can look forward to the movie without any spoilers from me at least. The experience I would like to talk about is that of an excited viewer on the first day of a Superstar’s much awaited movie. In a manner of speaking it was the first day, first show as it was the first show in the theatre we went to see Kabali. The usual scenes of super excited crowds were seen outside the theatre. The expected thrill from the movie was writ large on the faces of everyone. As expected there was a person in a suit trying to believe and also make others believe that he was Kabali. Shouting, hooting, jostling, etc., was all adding up and increasing the excitement levels. We were allowed into the theatre and the entry of the audience was punctuated with whistles, shouts etc. The start of the movie was amazing where the audience thrill, enthusiasm and excitement were as interesting to watch if not more. The first few scenes where Thalaivar Rajinikanth makes his entry, delivers some of his key dialogues, etc., and was greeted wildly by the audience with whistles, people standing up, clapping and more. Subsequently, the theater settled down and everyone watched the movie in silence. Barring a few moments of euphoric whistling, clapping and cheers, the three hours was by and large a quiet experience. Even the ending seemed to be subdued as everyone made their way out of the theatre. This is not what one usually experiences in a first day first show of a superstar. In fact many people go to these shows to see the fans in action and be a part of the excitement. They then go to actually watch the movie again. I am not going to comment on whether the movie was good or bad, speculate about the story, etc. My interest is more in the crowd or customer reaction which I think was markedly subdued. I wonder how many of them would be coming back to watch the movie again and that is what triggered a thought in the context of retail. Is it that the hype ended up creating expectations which are almost impossible to meet? 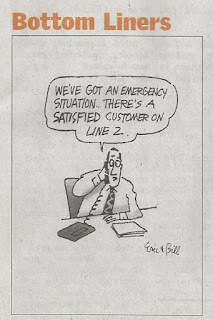 In such a scenario, initial response might be fantastic but repeat business might be difficult to get. In any retail context hype and excitement is what pulls shoppers to come into any store. The question that any retailer must answer is whether the store can live up to the hype and resultant expectations. The store by itself might be excellent just like how the Superstar’s performance in Kabali is outstanding. However even that might not be enough if the expectations created are way more than what is being delivered. One must always keep in mind that customer satisfaction and customer delight is more dependent on the expectations being created than the actual delivery and experience. Do organisations really want Happy Customers?! I saw a cartoon in a leading national daily and was struck by the irony in this illustration. Although it is prima facie humorous, it is also a reflection of the reality and holds a very strong message to organizations, especially Retailers. It raises the following questions which I will address. Do Retailers expect any customer to be happy, satisfied or delighted at all? Are organizations serious about making customers happy, satisfied or delighted? If there is no breed called happy customers, whose fault is it? Forget Retailers, most organizations do not expect their customers to be even satisfied forget about being delighted. The rationale behind this statement is the fact that I am yet to come across anyone having a system or process to handle happy or satisfied customers. Let me illustrate this with an example from two service sectors. In most stores there are loyal customers who are happy and often give positive feedback and express their satisfaction with the store and staff members. Unfortunately these customers are often ignored while unhappy customers who complain get a lot of attention. In most of my programs I have advocated customer interaction forums where such loyal and happy customers are invited and that recognition alone would be a first level of reward for these shoppers. The second example is with regard to a leading airline. I had praised the way their staff had handled a situation and had messaged them. Imagine my surprise when I got a template reply thanking me for my patronage and feedback. Obviously their service staff has no idea about handling a happy customer. Of course, it can be argued that organizations expect all their customers to be happy and that unhappy customers need to be handled as they are the exception. This is totally wrong. Even if satisfied customers are the norm they need to be recognized in order to motivate them to continue sharing this satisfaction and happiness. Apart from reproducing a few appreciative letters or comments, most organizations do not even acknowledge satisfied customers. This situation is largely because most organizations espouse customer service and delight while their actions on the ground are directly opposite to that. 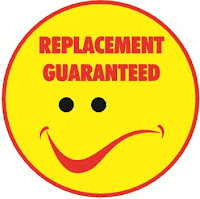 A very common example is the promise of a hassle free replacement while making the actual process for this painful enough to dissuade the shopper. Every shopper of physical or online retail must have experienced the sheer frustration of trying to resolve an issue wherein the customer service person responds like a robot with template responses which in most cases are completely irrelevant. In the case of such a reality it is highly questionable if organizations especially retailers are really serious about customer satisfaction or are they focused only on managing dissatisfied customers. This is again a problem with regard to the service delivery design and the management’s orientation towards customers and shoppers. Although the stated intent of the organization is great service and satisfied customers, almost every system and process in place focuses on controlling and constraining the front line staff. This means that they are rarely empowered to deliver customer satisfaction. Obviously such staff have no clue about handling happy customers simply because they are not empowered to make the customer or shopper happy! Lastly is the point about whose fault is it. Although organizations are at fault, the customer and shoppers must share some of the blame with regard to this situation. The majority of shoppers are eager to complain and make a noise when they are not satisfied. Unfortunately they rarely take the trouble to even mention situations and interactions which make them satisfied or happy. The old saying that “the squeaky wheel gets the grease” is very apt in this context. Unhappy and dissatisfied customers make a noise and so organizations take the trouble to think of ways to handle them and manage such people. Happy and satisfied customers keep quiet and so the organization in most cases is not even aware that they exist. It is no wonder that most staff members do not know how to handle happy customers and their appreciation. 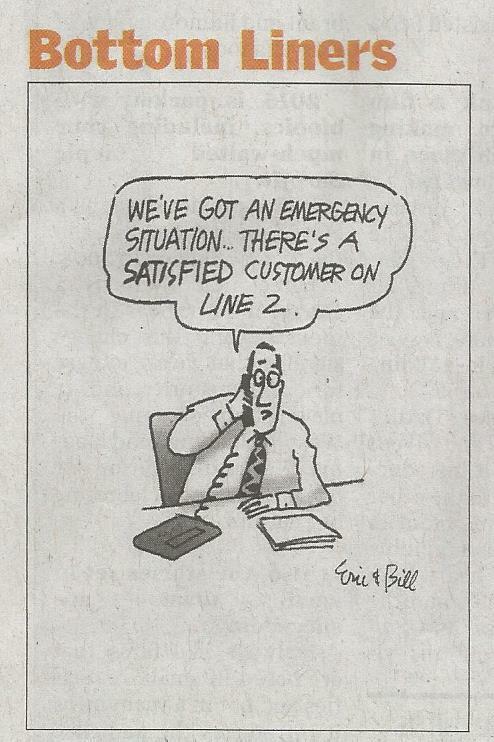 This cartoon is actually a reflection of reality and for this to change the customers and shoppers need to speak up when they are happy and satisfied. Organizations on their part should start recognizing happy customers instead of only managing the unhappy ones. The recent spate of messaging by the online Retail majors hinges on reassuring the shopper that it is very easy to return or replace what has been purchased. I had a flashback to the late 90s, when the RPG Foodworld chain of supermarkets was trying to redefine the grocery and food shopping behavior. This involved addressing several key mind blocks and shopper resistance aspects; hassle free replacement being one of the most important amongst them. “Replacement Guarantee” was an initiative to address this important issue and it involved a holistic approach which included messaging, internal processes as well as staff education and training. This had a very positive impact which was reflected in the sales increase as also the basket penetration of several core categories of products. Coming to the present times the two recent advertisements by Amazon and Flipkart are focusing on the ease of return and replacement. These two advertisements drive home the message effectively. It is interesting to note some subtle and sublimal messaging in both these advertisements and they do raise two important questions in my mind as a retailer. Both the advertisements show an elderly person expressing concern about return and replacement. They are both reassured by someone who is much younger. Is easy return/ replacement a concern only for Gen X / older shoppers? The counter point could be that this a concern for the Gen Y and Gen Z but the advertisement is trying to drive home a message that their Gen Y and Gen Z customers do not face this problem. In that context are reference groups such a large influence for these shoppers? Retail brand building is built on trust which can happen only during the transactional experience. Even today, the return/ replacement in most modern formats and eTailers are definitely not up to the mark. In that context will messaging alone work? What process changes have these eTailers instituted to ensure that the real experience lives up to the expectations created through the advertisements? There are countless jibes that are directed at women about shopping and their fondness for the same. However, it is a reality which is not well known that there are validated reasons for the differences in shopping behavior between men and women. This cartoon of Calvin & Hobbes is an interesting depiction of how men get confounded by choice which would not be the case if a woman were shopping. There are two fundamental differences between men and women which defines their orientation towards shopping and why they differ from each other. Women are supposedly much better at multi tasking and anyone who has taken a ride with their mother would know that it would be a fun ride where the woman would not mind having loud music being played while she chats and also drives. This would be a direct contrast to a ride with a male who would prefer minimal distractions when driving and absolute quiet might be a de-facto requirement when navigating heavy traffic. Women are supposed to have a wider peripheral vision. This essentially means that women can take in more visual stimuli as compared to men. Men have a stronger straight-on vision supposedly a hangover from the hunter-gatherer days. This means that men prefer a single target to zoom into and complete the task. This obviously has significant implications for any retailer. The store and all the various elements inside in terms of design, display, etc has to be different, depending on whether the focus of that store is on women shoppers or men. As the cartoon shows, men shoppers should ideally be presented with a simple design, easy to choose display and a quick shopping experience. The direct opposite is required if a retailer is targeting women shoppers. That is not all, even the service and interaction levels would have to be tailored and structured differently for men and women as women are more socially inclined and actually welcome interactions. On the other hand, men are far more functional and their expectations are for functional service. 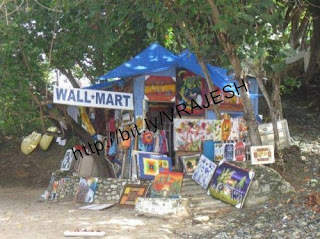 It was perfectly acceptable to see names like Bharat Departmental stores or even Bharat Mall even for stores which were only 400 – 500 square foot on average and be crammed with products with the shop owner serving the customers from across the counter. However, this was ironical because Bharat Departmental stores would neither be large, nor presented in well defined departments and most definitely not lifestyle led as the name would lead one to believe. It is no wonder that this small temporary stall decided that a pun on the world’s largest retailer was a perfectly acceptable thing to do. This was mainly because of the shopper frequenting a store mainly because of their personal relationship and trust. As such the name of the store actually made no difference to the shopper and it ended up being a reflection of the shop owner’s aspiration. Fast forward to 2015 and the shoppers are changing. This change in shopper’s orientation was driven home when I saw an advertisement for a regional retailer who has largely been known for apparel till now, announcing the launch of a 'Hyper" store. CLICK here to read my ET Retail article about these changes in shopper expectation and behavior which has led to format definitions to become important and accurate. Who is the face of your eTailer? The staff in any physical store plays the role of being the face of any Retailer. Shoppers can interact with them and address all their queries, concerns, etc., to a “person”. It is an area of focus that the quality of such staff is often not up to the mark and there is tremendous scope for improvement in that front. In contrast a shopper sees only the person who delivers their products and invariably they are not empowered or trained to be the face of the eTailer. Any issue needs to be raised through an email or a call which has to go through the inevitable IVR (Interactive Voice Response system). The bigger issue is that the same customer call centre person does not attend to the call every time and in many cases the shopper ends up repeating all the details. Imagine a situation if one walked into a store and wanted some assistance. They call out to a store staff and an imaginary conversation would go like this. Shopper – Excuse me, where can I find this product? Store Staff – Thank you for shopping with us and we value your patronage. Please select the following from the options. Say 1 - for product information, 2 - for other service, 3 – for any complaints, 4 – for any suggestions and say 9 - if you wish to speak to a customer service person. Store Staff – Sorry, we have not received any input. Please press 5 to repeat the main menu. Shopper – Shouts out “1” and is obviously getting irritated. Store Staff – Thank you. Please Say 1 for Food products or 2 for Non Food products. I am sure that most shoppers would walk out at this stage. While I hope that this might never happen in a physical store, this is exactly what happens most of the time when a shopper calls up the customer service number. Therefore, it is important to re-look at the role of the delivery person because he/ she will always be the ONLY face of the eTailer that the customer gets to see and interact with. How this be done has been detailed in my article in ET Retail. Click here to read the article. This video about an initiative to motivate such delivery persons. This is a good start but definitely not enough. There has to be a paradigm shift in the way front end logistics is perceived and executed. The article talks about what needs to be done and how that can become a game changer. A few days ago I was quite surprised to see this advertisements for a fairly well known silk saree shop which has several outlets in the city. End Of Season Sale (EOSS) is by now a familiar sight in the Indian Retailscape with lifestyle stores screaming offers of up to 50% or even 70% Off. This seems to be actually a new trend and is worth watching out for – Start Of Season Sale (SOSS) or is it a sign of desperation and this actually means Save Our Store Sales (SOSS)! The festival season kicks off with Navratri/ Dushera and extends all the way till Diwali. This is the time for large spikes in sales, especially in the apparel segment and silk sarees would definitely qualify. Why should the Retailer have such aggressive Buy One Get One Free offers along with some very steep discounts also. If the intent is to clear stocks, then their pitch of updated collection is misleading and is actually bound to create a negative impact in the shopper’s mind set if that is not true. This category is very high on the impact of word of mouth and such misleading information will soon spread the negative message. If the range is indeed updated and has new designs for the festive season, why this aggressive offer? This segment sells based more on design, colour, quality and service. In that context, why is the Retailer making it into a mass merchandise? Too often nowadays I find Retailers who opt for the easy way out of “Buying Sales”. This means that they have offers and promotions which have no long term or even medium strategy and usually the only objective is to increase sales with no perspective about the cost of getting such sales. Which is why I have used the terms “Save Our Store Sales” (SOSS). Such offers invariably lead to conditioning the customers to start waiting out the Retailer till they offer such promotions and very soon the Retailer is forced to make this into a regular occurrence. On the other hand, this might be a very canny Retailer who is starting off a new trend of Start of Season Sales and will try to capture a larger share of the customers festival spends in this category. However, even in such a situation the long term impact is not very positive and it is bound to become a compulsive habit not only for that Retailer but for that segment as a whole. Apart from the EOSS trend there are two examples to validate the fact that these trends can very soon lead to a repetitive habit forming pattern. The first is the year end sale in the CDIT stores which was started by a Chennai based Retailer to beat the low sales during that period and is now a annual occurrence across this segment. 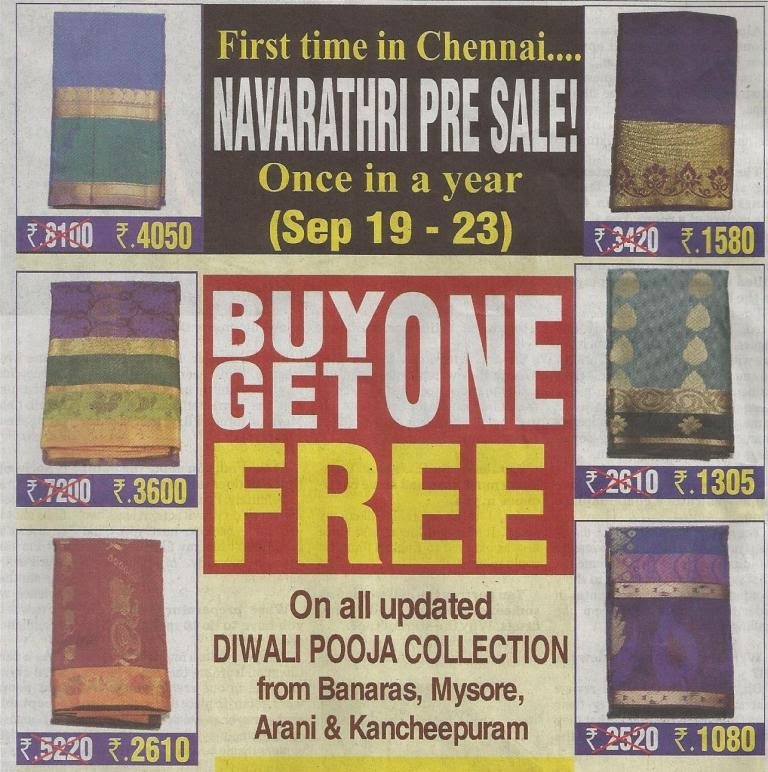 The other is the “Aadi Sale” which has a similar background and now has become a default annual affair. Although these occasions are now used to clear old models and excess stocks, am not sure whether this pattern of having some sort of sales for almost half the year is a healthy trend. Online 3D printing store... What next!! Several months ago, when exploring future trends about Retail and shopper behavior, a convergence of technologies like 3D printing and Google glass presented a huge opportunity which might redefine the way shopping was done. In a post I had talked about how this might redefine shopping and Retail as we know it today. It is heartening to see that this prediction seems to be coming true. Amazon.com launches an online 3D printing store. Next step I look forward to is the integration of technology like Google glass to this trend. Click here to check out this new 3D store. Sometime ago I had written about the app developed by Neiman Marcus and how they had rolled it out under the umbrella of NM Service which offers a personalized shopping experience. They then discarded that by giving their store staff iPhones to be able to connect with the customers. It must have cost them quite a bit to go through that learning curve. My admiration for the small, stand alone shop keepers in India went up another notch when I read this article about how one of them has started to leverage WhatsApp for better customer connect and service. 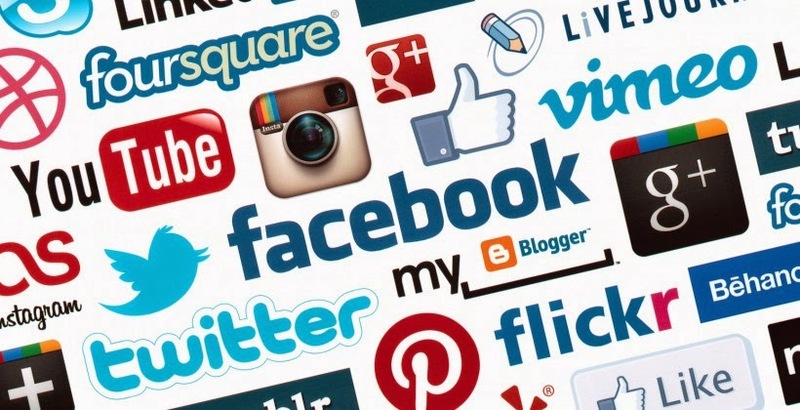 Although several Retailers and shop owners have populated facebook and some are even active on Twitter, the use of WhatsApp to be able to connect in real time and provide immediate service is a great idea. I am sure that many more such store owners will soon adopt this idea. This flexibility and nimble footed response to customers is just one of the things that chain Retailers need to learn. The other interesting lesson is the ability to adopt low cost or even zero cost resources to improve their businesses. Such a cost sensitive thinking towards effective solutions will go a long way in ensuring success, especially in retail which is a low margin business. Customer Satisfaction is the most overused and abused term. There is a whole universe of business opportunity that revolves around these two words. Over the years this has morphed into variations like customer delight, customer wow, etc. All this is great to hear and quite profitable too if one were to be offering a training program or consulting inputs built around these two words. Alas, as customers this talk never does reach down to us on an operating level. Let me share this interesting anecdote about a chain store. A friend of mine recently happened to purchase a lot of products from a leading lifestyle chain and went home hoping to surprise her family members. As in the case of any surprise gifts, some were welcomed while a few were not. So, she planned to return to the store to either exchange these or return the same. My friend set off confidently for this task as she remembered seeing a large sign about replacement being guaranteed and had read through the conditions mentioned regarding the same. Upon reaching the store, she went to the customer service desk near the billing counters and requested their help to exchange the few products she had purchased. To her surprise she was asked to go to another counter on another floor where replacements and exchanges were handled. After locating this special counter she repeated her request and the staff said that she would be given a note for the value of products purchased and she can show this note at the billing counter towards payment of the products she has selected now. In industry terms, this is a credit note. Now came the twist in the tale. After she had selected the new products and got the same billed, she found that the bill value was less than the credit note value. However, the staff refused to refund her the money as that was not allowed as per policy. When questioned about the replacement and exchange promise mentioned in the large sign, it was pointed out that no cash refund was also mentioned in that sign, although as fine print! In effect this customer had to end up paying more for a product just because she had to get it exchanged. 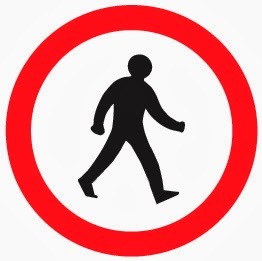 When I mention walking the talk, it refers to enabling the customers to experience the exact same thing which has been promised and not about the various disclaimers in small print. There are two components to this. One is about setting the right expectations. Quite often the customer expectations are raised to such impossible levels through a mix of hyperbole and fancy words. Whether intentionally or not, customers end up interpreting these statements in their own way and expectations are set. 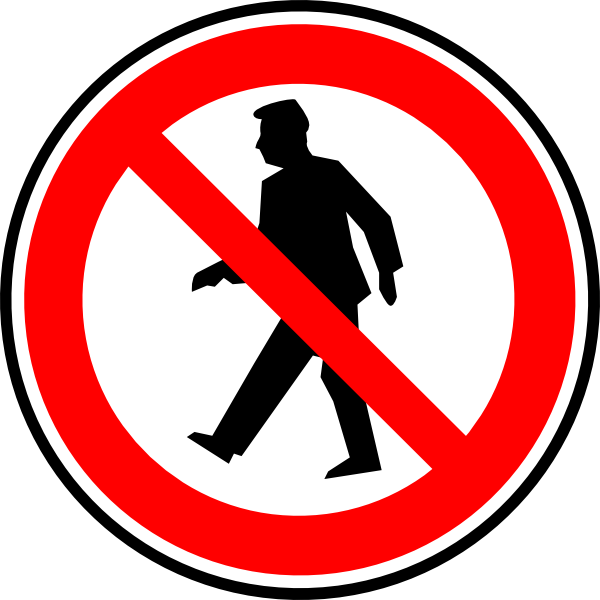 On the contrary Retailers set in strict systems and policies to maintain control and discipline as also avoid any mischief at the store level. Unfortunately, most of these systems and processes are in direct contradiction of the stated customer policies and other claims which have created expectations in the minds of a customer. Customer service issues and complaints are a natural outcome and quite often these are ignored because there is nothing that can be done. “It is against our policy” is the standard excuse. When said by the store staff, I can give them the benefit of doubt and maybe even pity them for having been put in a difficult place by the Retailer. However, one often tends to hear this phrase even from managerial people across levels. 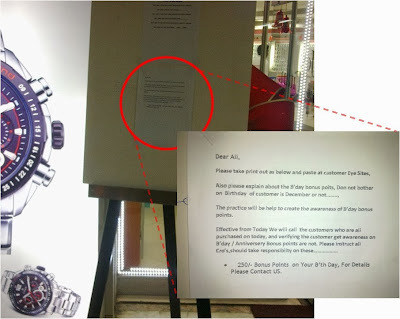 This is completely unacceptable and will not help any Retailer in the long run. Very simply put, think carefully before you talk to your customer and create expectations - either directly or indirectly through signage, advertisements, etc. However, once you have created an expectation walk the talk that has defined this expectation and do not back down from the same. I recall a store launch where a very good offer on cooking oil was given. It so happened that the price of cooking oil, which is a commodity, increased significantly a day or two before the launch. The easy way out was to withdraw the offer and tell the customer that it was not there. However the team decided to walk the talk. They went ahead with the offer and managed the customer expectation by limiting the quantity to two packets. Although there were some complaints the majority of the customers appreciated the fact that we had continued with the offer and had not cancelled the same. Taking off on the tagline of a famous brand, “keep walking”, whatever you talk about. Showrooming was a concern when shoppers used to come to the physical stores, check out the products and then purchase it online because of a better price. Just when this was becoming a cause of concern the exact opposite happened for several categories - reverse showrooming. Here shoppers would do extensive research online and then come to a physical store to experience the product and make the purchase. Needless to say smart Retailers have developed strategies to counter showrooming and to encourage reverse showrooming. The next step would be to combine the power of technology and the shopper’s need to experience the product, without even having to come into the store. This trend is going to only increase especially in lifestyle and high involvement categories. The IKEA initiative for their catalogue is an apt example for how Retailers can leverage technology to encourage reverse showrooming; more importantly, deliver shopper value which is not limited to price alone. As you can see in this video IKEA has used an augmented reality app to enable shoppers to not only experience their products before hand but also create wonderful memories. Now to address the question I am invariably asked - is this possible in India and will it be worth it? Yes, it is very much possible in India and it is definitely worth it because the Retailer will create value for the shopper which is not limited to price. Also, such experiences will have an emotional impact on the customer as also trigger word-of-mouth publicity which is fantastic. Indian Retail is going through a evolution at jet speed and the Indian shopper is changing at an even faster pace. With information at their finger tips (literally and figuratively) they are not stopping for anyone or anything. Retailers need to keep abreast of these changes and some thoughts about the changing Indian shopper has been captured in this article and those who create a customer centric value proposition keeping in mind these changes might emerge as the winner.